NEWS | Luderitz Nest Hotel Celebrates 17th Birthday! The vastness of space in Namibia is seriously hard to ignore. Stretching as far as the eye can see, horizon greets horizon, whether comprising mountain, grassland, rocky outcrop or sandy plains. The great expanse of this land will already be obvious upon touchdown at Hosea Kutako International Airport. It is here – most likely on the long walk to the terminal building – that you’ll find yourself wondering if you’ve accidently been dropped in the middle of a lost and alien setting. (Word of advice: keep calm and get used to the feeling). Even if you are a self-driver on a momentous journey through Namibia, Africa, or the world, it will be, without hesitation, one of your very first cross-border conversation starters. Namibia’s space is a feature that puts this country on the world’s-most-amazing-places-to-see-before-you-die list, and for very good reason. There are very few places on this planet that still offer the luxury of crisp, clean air, supplied straight from a plethora of wildly growing oxygen producers. Similarly, there are just as few spots where wildlife still roam free and co-exist, undisturbed, with their human counterparts. This very exclusive state of affairs is mainly due to the fact that there is space for all of God’s creatures, including you and your extended family – plus your whole entire camping shebang. Camping is without doubt one of the best ways to explore this unique and diverse selection of wide vistas and picture-pretty panoramas that 13 different ethnic groups call home. Not only does it bring you in direct contact with the local people, their cultures, traditions and back doors (aka natural surroundings), but it also gives you the chance to enjoy the rare sensation of silence. 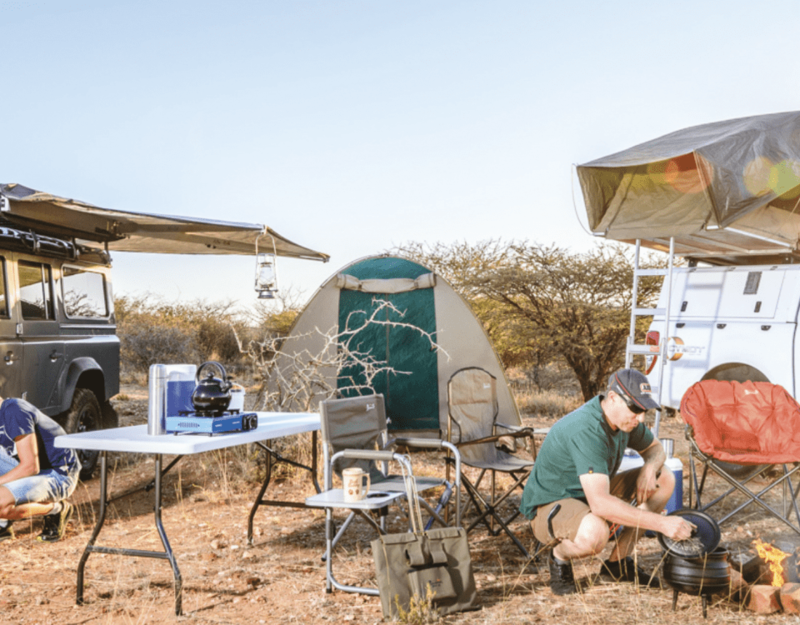 Admittedly, camping is not everyone’s mug of campfire brew, but in a country like Namibia, you’d almost miss the whole point if you don’t spend at least one night zipped-up in canvas under Namibian stars. There is very little that can compare to the feeling of being awakened by the first cry of the guinea fowl, unzipping your tent to pink-tinged skies, and lazily stepping out into pristine early-morning nature. 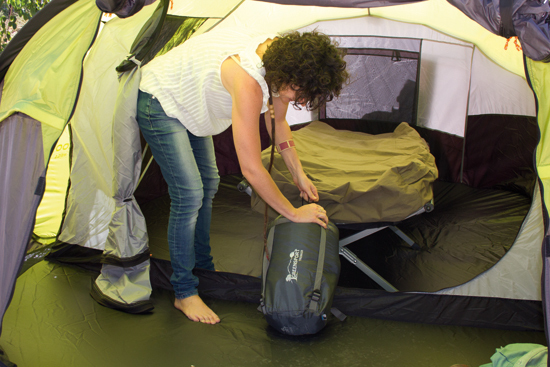 For nervous novices on their first camping safari, it is recommended to first test the ground in one of the sites in or around the capital city. Not only is it a good opportunity to find out whether you have all your tent pegs packed (and if not, still have the luxury to be saved by CYMOT), it also gives you time to slowly acclimatise and adjust to the great outdoors. 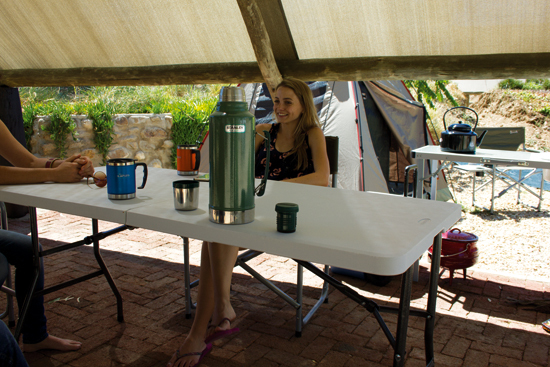 What’s more, camping in close proximity to the city will be a soft entrance into the real bush adventure that await Most of the ‘city’ sites offer luxuries similar to the more formal accommodation options located throughout the country. Facilities usually include a restaurant – with proper home-cooked meals, bar, curio shop, hot running water, flush toilets, power points and, in most cases, access to a swimming pool. There are almost as many campsite options as there is space. 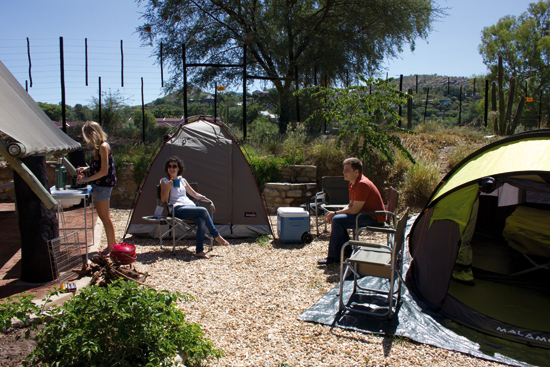 Close to the airport, Afrika Farm Ondekaremba hosts campers under lush acacia trees. An added attraction is a stargazing telescope with which to admire one of the darkest skies on the planet – from the stoep of a historical 115-year-old farm house. A bit farther down the highway, Trans Kalahari Inn provides grassy lawns for extra padding, plus proper spots for the evening fire. In the midst of civilisation, on the outskirts of the township and bordering the Goreangab Dam, Penduka is excellent place to become acquainted with aspects of Namibian life. Here women empower themselves through needlework and beadwork projects. It is the starting point for the one and only guided cycle tour through the Kasi. An alternative in-the-city option is Urban Camp, where you can lounge about in hammocks in the lapa while savouring a game-drive burger (a game and crocodile patty). And if burgers are not your thing, take the very short ”hiking trail” to Namibia’s most famous restaurant, Joe’s Beerhouse, or try some pizza across the road at Klein Windhoek Guest House. Located a bit further out of the city, San Karros Daan Viljoen boasts a good selection of animal and bird species. At Elisenheim there’s horse riding. Friedenau Dam gives the option of fresh-water swimming, boating and wetting those fishing lines. Düsternbrook is another good choice, with a range of wildlife activities, including a mini Okavango experience with hippos, and a cheetah and leopard drive. As is the case all over the country, every camping spot has its charm and it really just depends on what kind of tent pitching, or rooftop popping experience you’re looking for. Point remains: it won’t take long until you start feeling comfortable with the abundance of breathing space and reconnect with your natural rhythm. And now that you’ve tasted silence and freedom, and are sure about having all your tent pegs in tow, the true Namibian adventure beckons. 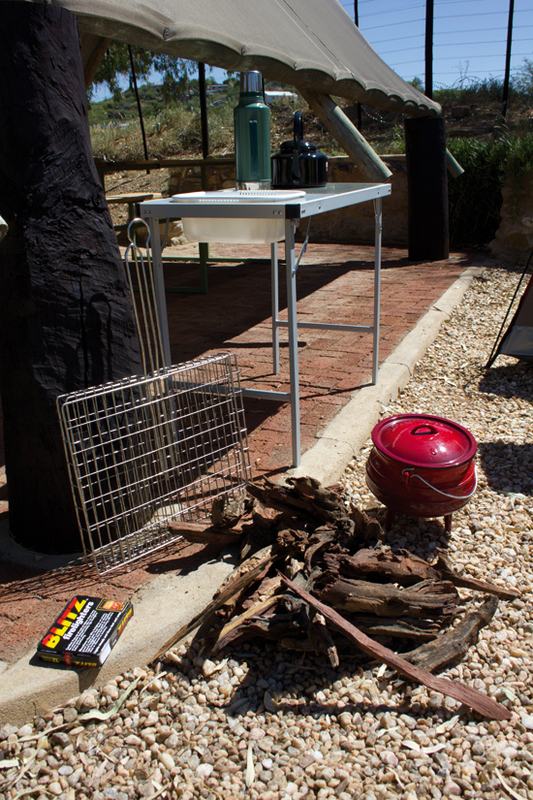 Camping Essentials: Time to gear up!